Even though Labrador’s two Innu and five Inuit communities make up less than one per cent of the province’s population nearly a third of all children in care of the state are from there. 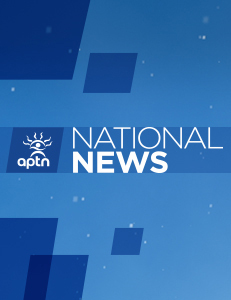 Labrador’s two Innu communities of Sheshatshiu and Natuashish, with a combined population of 2,101 residents, account for 20 per cent of all children in protective custody in the province, according to documents obtained by APTN National News under the province’s Freedom of Information Act. The five Nunatsiavut communities make up the 8.5 per cent for a total of 28.5 per cent of Aboriginal children in custody of the province. Justine Noah, a grandmother and former tribal police officer in Natuashish, said she has seen many children removed from their families by Child Youth and Family Services (CYFS) in her lifetime. In her community, nearly 60 per cetn have received at least one visit from a social worker. Noah is especially concerned about newborns being removed directly from the hospital, a controversial practice she said she’s seeing more often. “They’re going to lose their language. They wouldn’t understand about their culture and they would lose a lot of traditional skills that they should have learned in the beginning and who they really are and where they are coming from,” said Noah. Natuashish Chief Gregory Rich said too many times children are removed without the province notifying band and council. Sandy Collins, Newfoundland and Labrador’s minister of CYFS, agreed that there is a problem with communications between the department and Labrador’s Aboriginal peoples. Collins points to new staff working in Labrador, as well as community liaisons are helping to improve the department’s relationship with Labrador Innu and Inuit. Cindy Blackstock, of the First Nations Child and Family Caring Society, agreed with Noah, saying it is vitally important for the survival of unique Indigenous cultures that the family bonds remain intact. “One of the things that was lost in colonization is the ability to dream for our kids futures. Now other people dream for their futures. You can’t heal communities if they are losing their kids,” said Blackstock. She said that Newfoundland and Labrador receive the least federal funding possible for child welfare in Aboriginal communities. She said Aboriginal children are over represented in state care across the country. For instance, on any given day in British Columbia there are about 1,000 children in care of the province. Over half are Aborginal. Rich said that communication problems, both in terms of language barriers between social workers and community members and between Innu leadership and CYFS have exacerbated an already difficult situation. Alcoholism, family violence, child neglect and gas sniffing once ravaged the Mushua Innu in their former community of Davis Inlet. Now, 12 years after moving to their new home of Natuashish many of the problems that plagued them have followed. Even though a ban on alcohol has seriously cut down the amount of drinking in the community of 939 people and gas sniffing is down among the youth, the community still has a long way to go. Many people in Natuashish do not trust CYFS. With over half the population under the age of 15 getting visits from social workers and one in five in protective custody, social workers have become feared. Most community members do not understand the social work system, or speak a common language with social workers. People just know their families are being split up. Rich, who is also a foster parent himself, believes that if CYFS worked more closely with the Innu there, the department could become a positive force in the community, instead of something to be feared. According to Rich, if social workers communicated more with families and the community leadership, he believes that alternative arrangement to protective custody and the courts could be arranged. Which is exactly what Nunatsiavut, Labrador’s Inuit, have been doing within their claims area. The Nunatsiavut government has been working with CYFS when homes have been flagged as “unsuitable for children,” Michelle Kinney, Nunatsiavut’s Deputy Health Minister told APTN. Nunatsiavut works in tandem with CYFS to find what is known as kinship services, in which children are placed in the care of a relative said Kinney. The rates of children in custody and receiving protective intervention in Nunatsiavut is much lower than in the Innu communities, but still much higher than the provincial average. Of the from the Nunatsiavut communities, nearly 12 per cent of children under the age of 15 are in protective custody and nearly one in three in those communities have at least had a visit from a social worker.